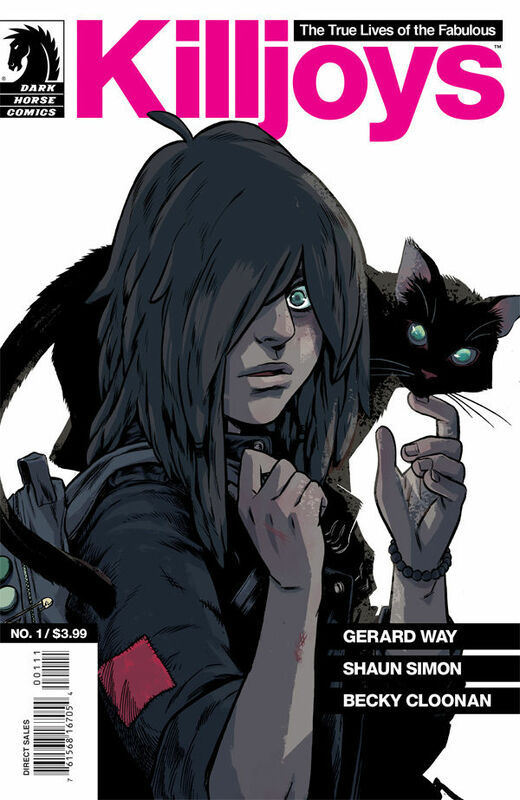 Gerard Way is back! His new series, The True Lives of the Fabulous Killjoys, is sure to please in every way. The story is based around the Killjoys, who died years before this story’s time in a fight against the megacorporation Better Living Industries. Their followers hide away in the desert protecting what little freedom they have left, and the Girl who was always with the Killjoys is one of them. I honestly did not want this comic to end. I was already excited for it when I found out it was coming out, but it turned out to be better than expected. Gerard Way can WRITE! Even if you weren’t a fan of his music, this man can write a story you will never forget. You immediately care for the characters you meet, and he paints such beautiful pictures of their personalities. As I was reading, I found myself needing to make sure I had pages left because I didn’t want it to end at any point. This story is beautiful, dark, elegant, and engrossing. DO NOT pass this up! Leave it to Gerard Way to find such an amazing artist. I was a huge fan of the art in The Umbrella Academy series, and the art in Killjoys is just as, if not more, impressive. The artist for this series is Becky Cloonan, an amazing indie artist. The True Lives of the Fabulous Killjoys is on stands now! Go go go!